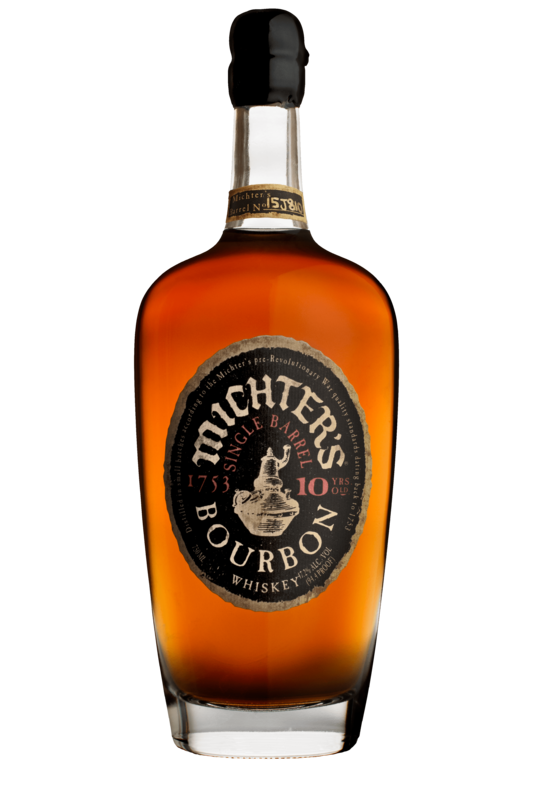 Michter’s latest whiskeys have arrived — single-barrel bottlings of 10 year old and 20 year old bourbons. There’s no production or sourcing information on these limited edition whiskeys (which are not part of the US-1 line), only that they are aged in new oak for 10 (or 20) years, which is, of course, the law for bourbon. So there we have it. We received the 10 year old expression for review. The $600 20 year, alas, remains elusive. As for the 10, this is just good, solid, well-made bourbon from front to back. The nose carries a solid caramel punch, with touches of banana and coconut. On the palate, rich and well-integrated notes of vanilla and more caramel take center stage, with some smoky char emerging underneath. The finish is fruity — offering more banana, more coconut, and some chocolate notes, the ultimate effect being something like a nice little ice cream sundae. Altogether it may not be incredibly complex, but it’s so delicious on its own merits that it hardly matters. Definitely worth seeking out. 94.4 proof. Reviewed: Barrel #15J829. In this ridiculous over-priced bubble world of bourbons everywhere and folks jumping in daily to make a quick buck my rule is this: no information, no purchase. Also, it is my understanding that artisanal rebottlers and anybody else too are obligated by TTB rules to disclose at least the state of distillation if it’s not the same as the state of bottling. So, again, non-compliance to me means no purchase. I was perturbed by the asking price for this as well. $100 for a 10yr bourbon? Thats just plain silly, even for a honey barrel.